It’s been a long time since I’ve written a post! Yesterday, Skotte talked about Oktoberfest and lederhosen. 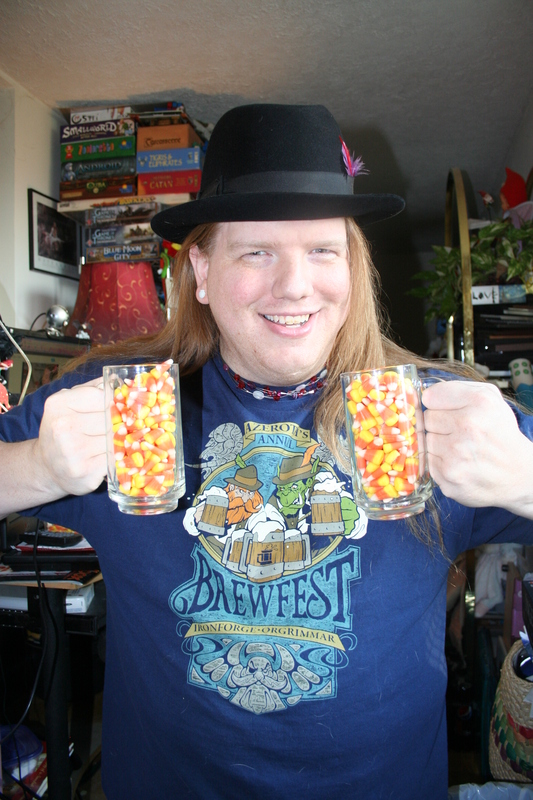 Today, I want to talk about Brewfest, which is World of Warcraft’s version of Oktoberfest. Brewfest ended in the game a couple days ago. For two weeks, we were busy running rams for kegs of beer, dancing in authentic dress, finding the mythical wolpentinger pet, and catching some pink baby elekks in various cities. This shirt came from J!nx. They have a lot of other amazing WoW related shirts, too. I have to admit this is one of my favorite holidays in the game. I don’t drink beer, but I LOVE the outfits, the pets, the gorgeous folk music, and the general atmosphere. And, Brewfest also starts to get me geared up for Halloween! Now all we need is a murloc stein for the full experience.